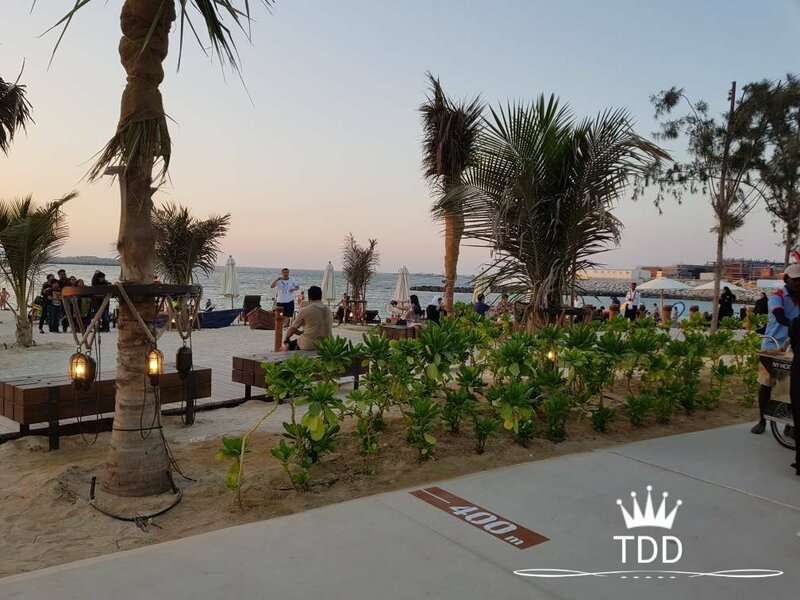 The best thing about Dubai has got to be the variety of activities available & the most family friendly (and pocket friendly) has got to be the beach!! With the cooler months upon us, we can take full advantage and head out – Yes! fresh air…..no A.C! October 15th saw the launch of the newest destination in Dubai, brought to us by Meeras(the guys behind City Walk, Box Park, Last Exit & more) La Mer is the latest beachfront development to open, transforming Jumeirah Beach area (from Jumeirah Mosque to Dubai zoo) into a stunning leisure destination. 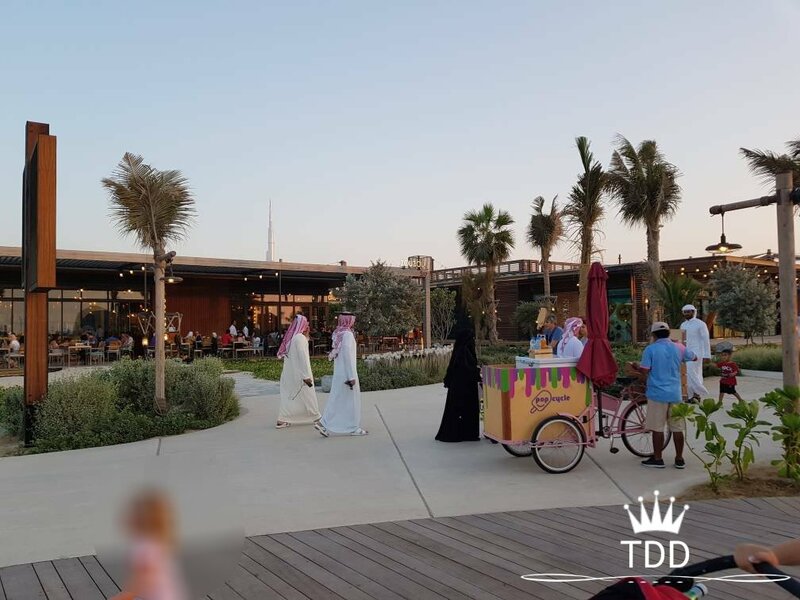 Including restaurants, cafes, activities, shops and more, it’s the perfect place to spend the whole day with the kids! La Mer South has opened to the public just in time for the gorgeous weather to kick in! 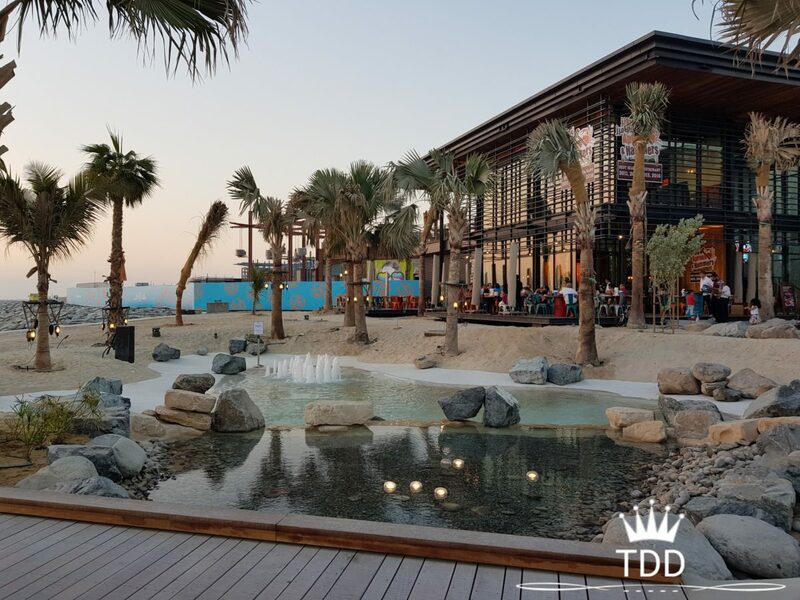 It’s the ideal time to spend by the beach without being burnt to a crisp by the Dubai heat 😂 …. you can literally stay all day, shower & change & stroll around enjoying the pretty surroundings in the most blissful breeze, seriously, this place is breathtaking! So many places to snap some purdy shots too, for all those InstaMummas! The whole place has a beach club/holiday resort vibe, you can basically go “on holiday” whenever having this on your doorstep! 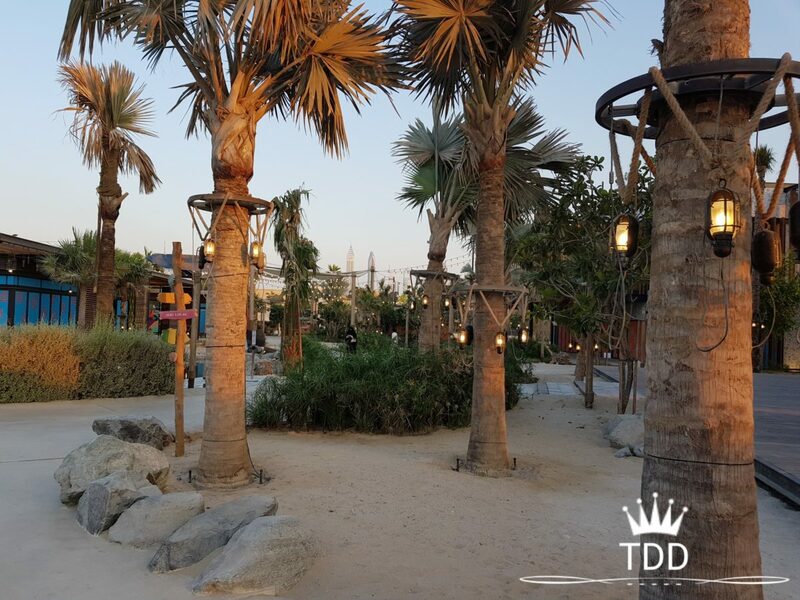 I love the whole feel of it… rustic driftwood, timber walkways, the shops & restaurants have amazing detail & it all ties in nicely with the theme. 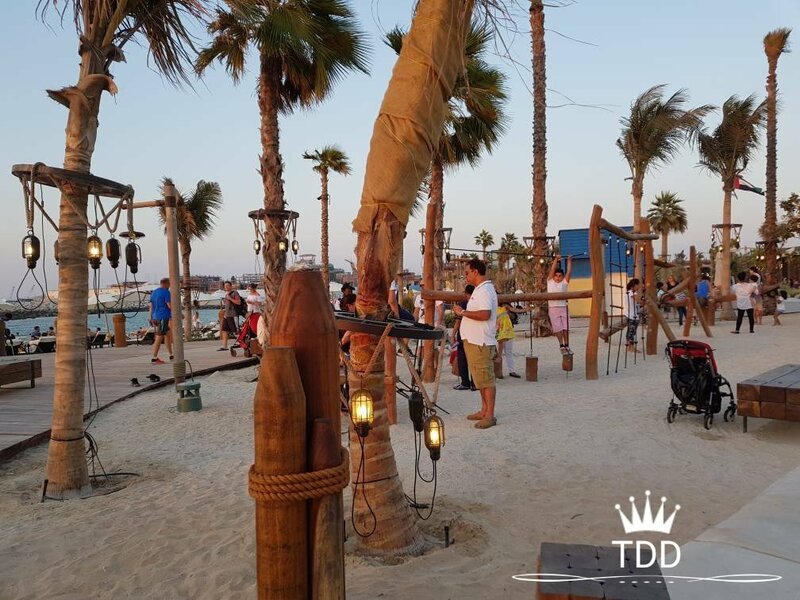 Playgrounds – There are play areas for the kids, right on the beach, in fact, between the restaurants & beach… so if you’re chilling in the sand, or catching a bite, the kids can play while you watch on. 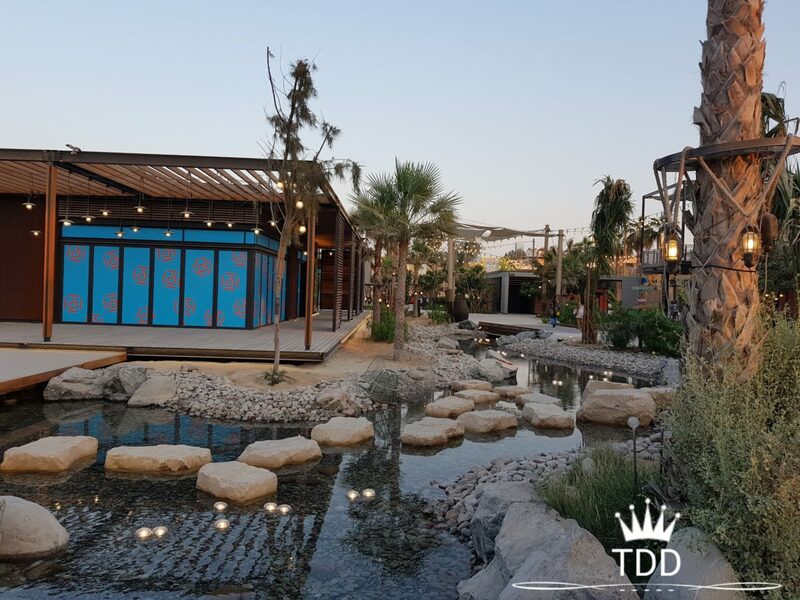 Hawa Hawa – An air filled trampoline park, get your bounce on under the sunset for as little as 25AED a *ThrifDee* find I’d say!! 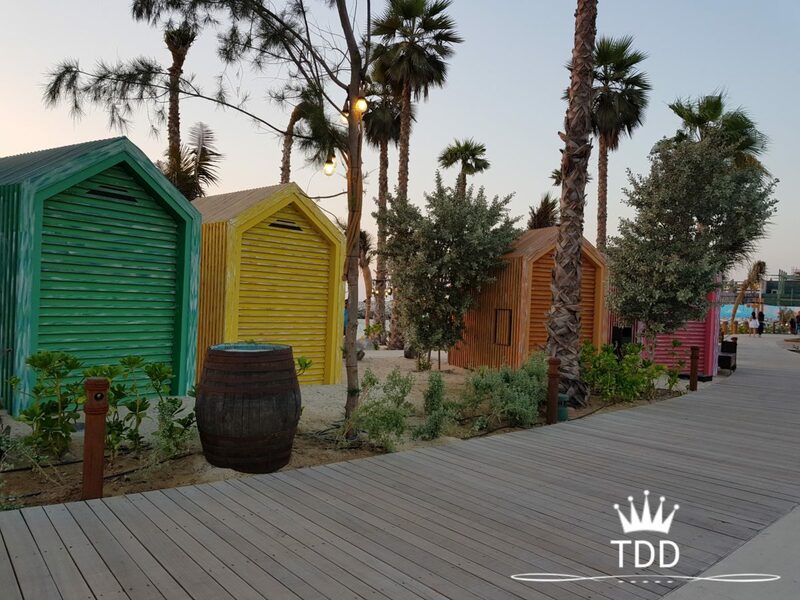 Beach huts – The cutest little huts to visit the lav in style, who knew a public toilet could look so nice? 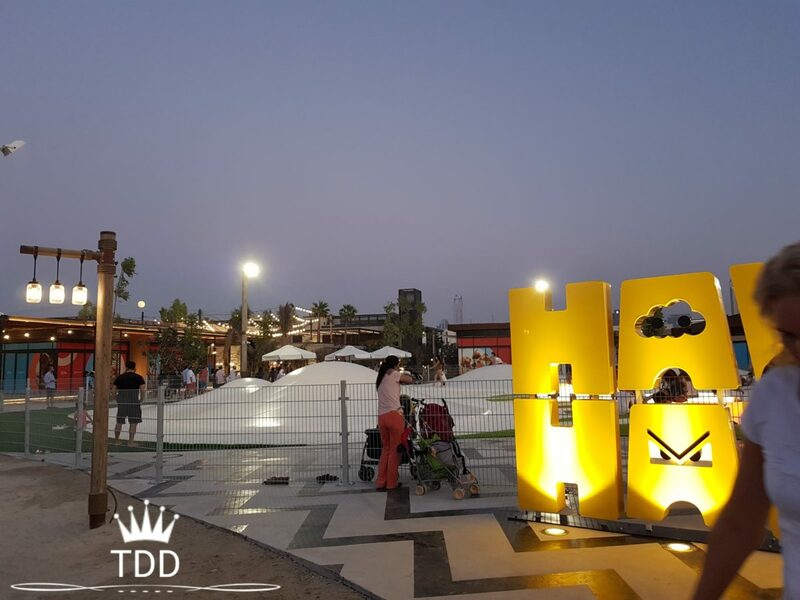 Facilities – they’ve thought of everything here, baby changing, showers, free WiFi, mobile charging stations, Valet Parking, driftwood walkways for your prams, scooters or bikes! Tempting Buggies – Yep! Guys roll around singing with their Fruit carts filled with delicious treats such as fresh Mango, Coconut Juice (straight from the coconut) – natural baby!, or Ice Cream Sorbets, which are inside real fruit skins… Pineapple & Coconut (Pina Colada Sorbet is a must try!) Hot Dogs if you’re feeling peckish! Still being developed, we are yet to see the opening of the second phase of La Mer, which will have a water park, cinema & LOTS of retail outlets! So what better way to spend the cooler months? Let me know in the comments if you’re planning on visiting, or if you’ve already been, what’s your favourite spot? Previous Post Ali Huda TV – Muslim Kids Netflix! Looks great place. Happy to see a lady in Abaya at beach :D… Just curious, are beaches clean (i.e. People decently dresses) in dubai? Yes it really is relaxing & has so much for kids here! I never happens to live in an Arab country but i love the sandy views and palm trees. oh man I cant wait to go back to dubai and see this beach. It looks adorable and such a nice review! We went to Dubai two years ago for a week and loved it. Wish we had gone for longer now as had an amazing time. Hoping to go again soon. Oh my gosh, I’d love to go sometime! Dubai is definitely in my top 10 travel destinations for the next couple of year!